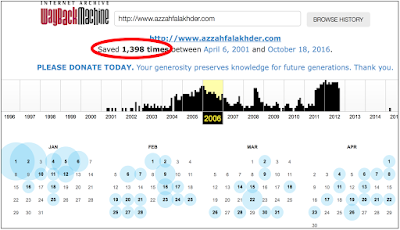 Web Science and Digital Libraries Research Group: 2016-11-05: Pro-Gaddafi Digital Newspapers Disappeared from the Live Web! Research and Teaching Updates from the Web Science and Digital Libraries Research Group at Old Dominion University. 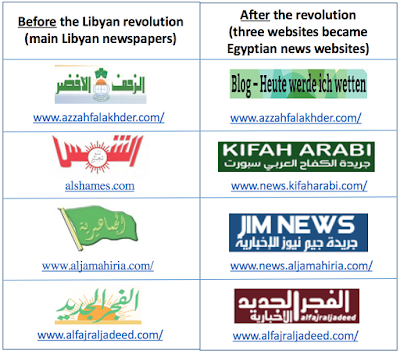 2016-11-05: Pro-Gaddafi Digital Newspapers Disappeared from the Live Web! Can we still have access to the old state media? 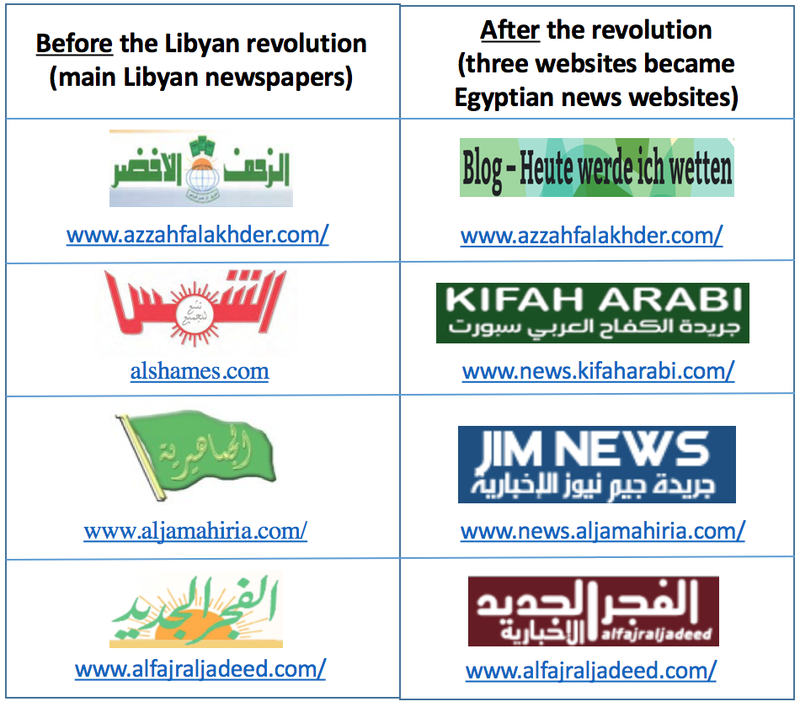 Fortunately, Internet Archive has captured thousands of snapshots of the Libyan newspapers' websites. 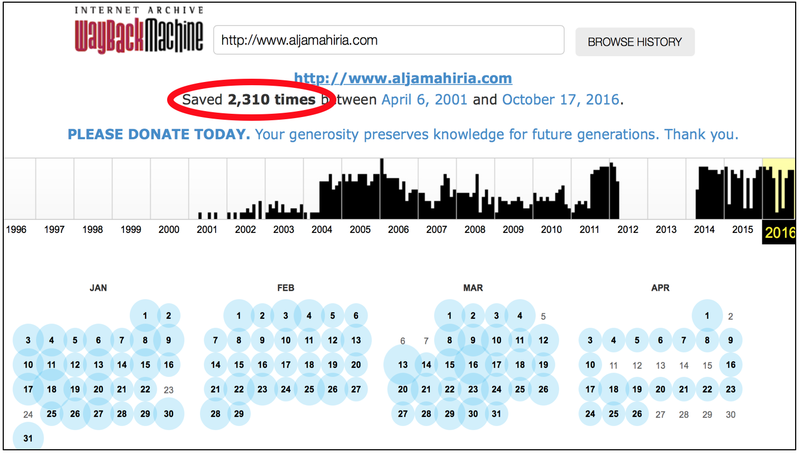 The main pages of Al Jamahiriya (www.aljamahiria.com/), El shams (alshames.com), El Zahf Al Akhdar (www.azzahfalakhder.com/), and El Fajr El Jadid (www.alfajraljadeed.com/) have been captured 2310, 606, 1398, and 836 times, respectively, by the Internet Archive. 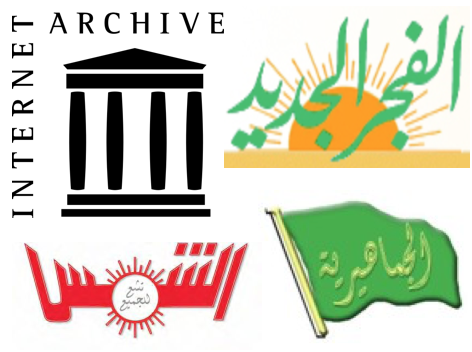 Although we can not conclude that the Internet Archive has captured everything due to the fact that the content in these newspapers was extremely redundant as they focus in praising the regime, the Internet Archive has captured important events, such as the regime's activities during the "2011" revolution, a lot of domestic news and the regime's interpretation of international news, many economic articles, the long process taken by Libyan authorities in order to establish the African Union, Gaddafi's speeches, etc. Below is an example of one of these articles during the Libyan "2011" revolution indicating the "there will be no future for Libya without our leader Gaddafi". This article is no longer available on the live web. This blog is used to communicate research and education updates from the Web Science and Digital Libraries Research Group at Old Dominion University. Annual summaries are available for 2018, 2017, 2016, 2015, 2014, and 2013.